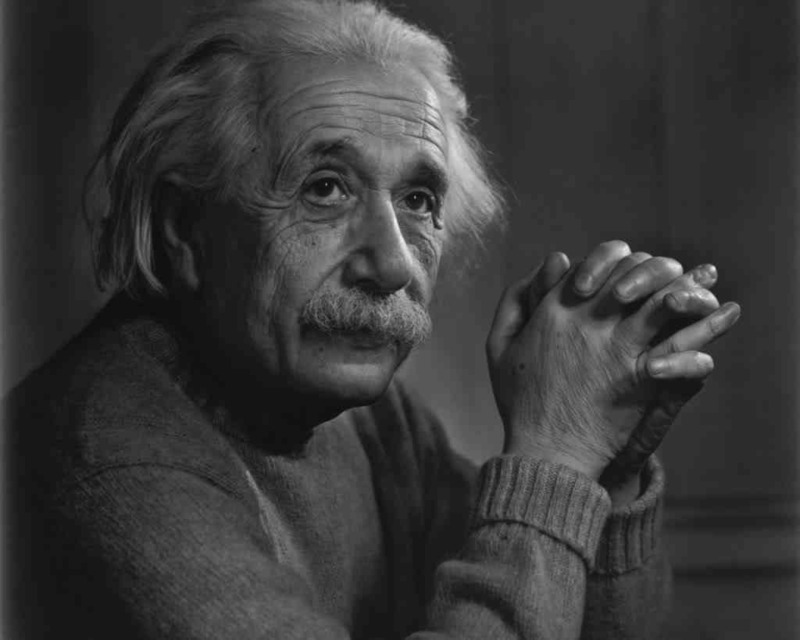 Albert Einstein 14 March 1879 – 18 April 1955) was a German-born theoretical physicist who developed the general theory of relativity, one of the two pillars of modern physics (alongside quantum mechanics). While best known for his mass–energy equivalence formula E = mc2 (which has been dubbed "the world's most famous equation"), he received the 1921 Nobel Prize in Physics "for his services to theoretical physics, and especially for his discovery of the law of the photoelectric effect". The latter was pivotal in establishing quantum theory. The Einsteins were non-observant Jews. 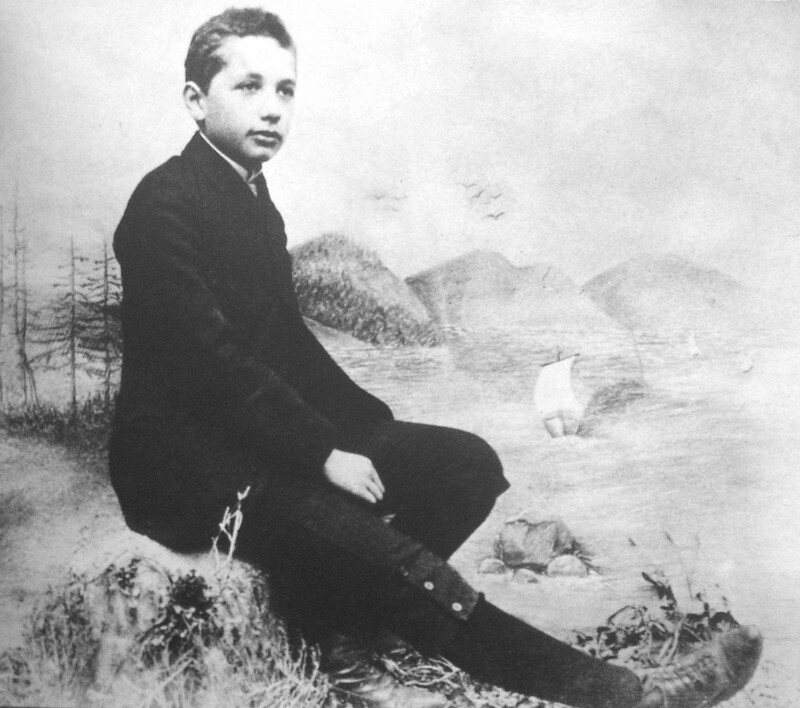 Albert attended a Catholic elementary school from the age of five for three years. At the age of eight, he was transferred to the Luitpold Gymnasium (now known as the Albert Einstein Gymnasium) where he received advanced primary and secondary school education until he left Germany seven years later. Einstein and Maric married in January 1903. 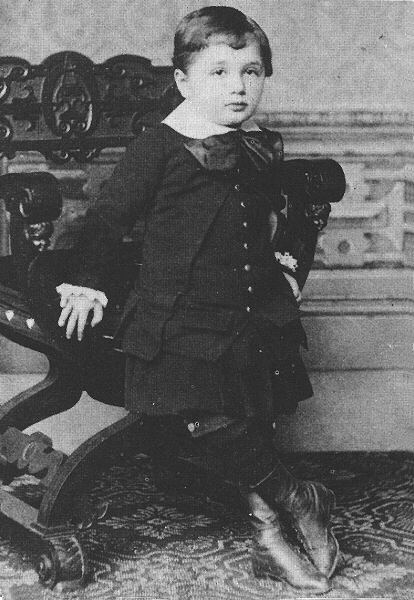 In May 1904, the couple's first son, Hans Albert Einstein, was born in Bern, Switzerland. Their second son, Eduard, was born in Zurich in July 1910. 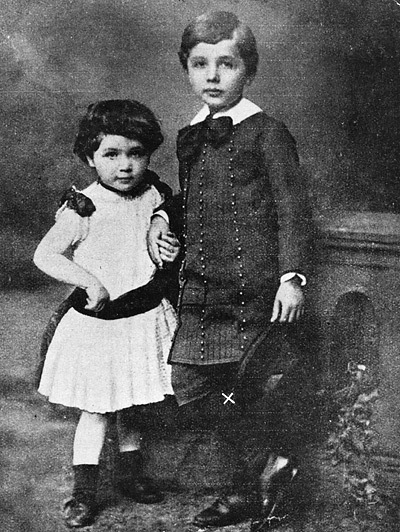 In 1914, Einstein moved to Berlin, while his wife remained in Zurich with their sons. They divorced on 14 February 1919, having lived apart for five years. After graduating, Einstein spent almost two frustrating years searching for a teaching post, but Marcel Grossmann's father helped him secure a job in Bern, at the Federal Office for Intellectual Property, the patent office, as an assistant examiner. By 1908, he was recognized as a leading scientist, and he was appointed lecturer at the University of Bern. The following year, he quit the patent office and the lectureship to take the position of physics docent at the University of Zurich. He became a full professor at Karl-Ferdinand University in Prague in 1911. In 1914, he returned to Germany after being appointed director of the Kaiser Wilhelm Institute for Physics (1914–1932) and a professor at the Humboldt University of Berlin, with a special clause in his contract that freed him from most teaching obligations. He became a member of the Prussian Academy of Sciences. In 1916, Einstein was appointed president of the German Physical Society (1916–1918). In February 1933 while on a visit to the United States, Albert Einstein decided not to return to Germany due to the rise to power of the Nazis under Germany's new chancellor. Albert Einstein resided in Belgium for some months, before temporarily living in England. In October 1933 he returned to the U.S. and took up a position at the Institute for Advanced Study at Princeton, New Jersey, that required his presence for six months each year. He was still undecided on his future (he had offers from European universities, including Oxford), but in 1935 he arrived at the decision to remain permanently in the United States and apply for citizenship. His affiliation with the Institute for Advance Studies would last until his death in 1955. On 17 April 1955, Albert Einstein experienced internal bleeding caused by the rupture of an abdominal aortic aneurysm, which had previously been reinforced surgically by Dr. Rudolph Nissen in 1948. He died in Princeton Hospital on April 18, 1955 at the age of 76, having continued to work until near the end.